From 8am to 10:30pm, 7 days a week.Facility staff are available Monday to Friday, 9am to 6pm. 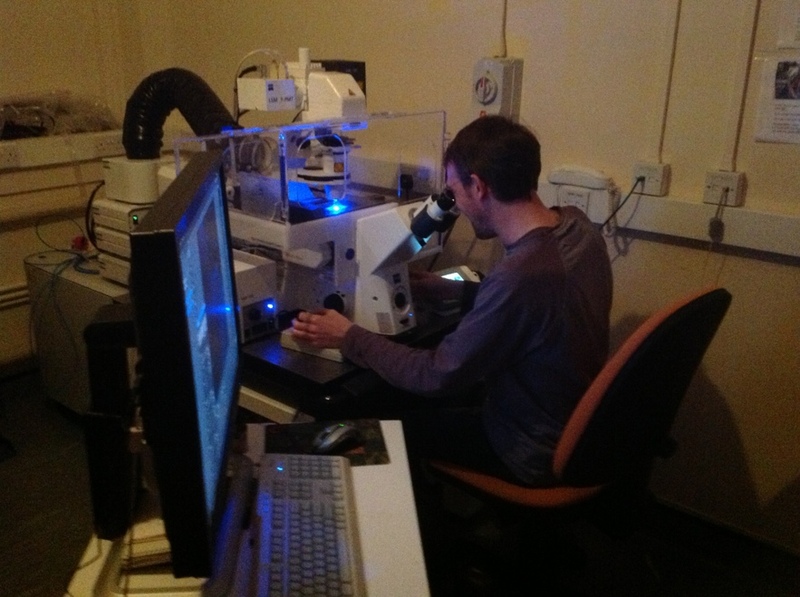 A Zeiss LSM 710 inverted confocal microscope with a wide range of excitation lasers. The Zeiss 710 uses variable spectral detection system instead of traditional emission filters. The Zeiss 710 uses variable spectral detection system instead of traditional emission filters. The system has 7 laser lines for excitation and any dye that is excited at one of these following wavelengths can be used: 405; 458; 488; 514; 561; 594 and 633 nm (check online or ask Dale if you are not sure which dye to use). Zeiss filter cubes for DAPI, FITC and TRITC (49 DAPI, 43 Cy3, 38 Endow GFP) are installed for standard fluorescence viewing prior to scanning. Transmitted light illumination is available with DIC prisms on all objectives.